Working primarily in O&G myself these days, it’s always good to see another industry specific case study. Here’s an example that was just published on Microsoft.com about UMT’s collaboration with Gran Tierra. 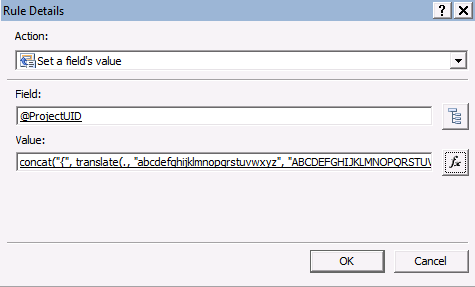 I realized that this technique worked with a basic PerformancePoint report, but still hadn’t been validated against an Excel report. 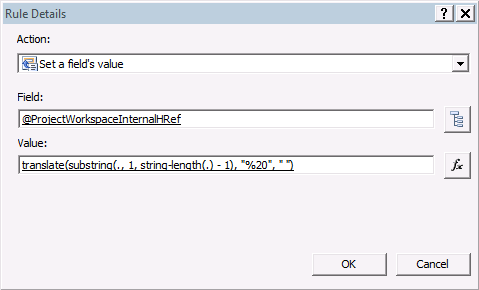 In this post, I’ll talk about how to modify the approach slightly to filter Excel reports within the PDP. Before we go too much further, we probably should take a step back and review when I might use Excel (or SSRS) vs. native PerformancePoint reports. 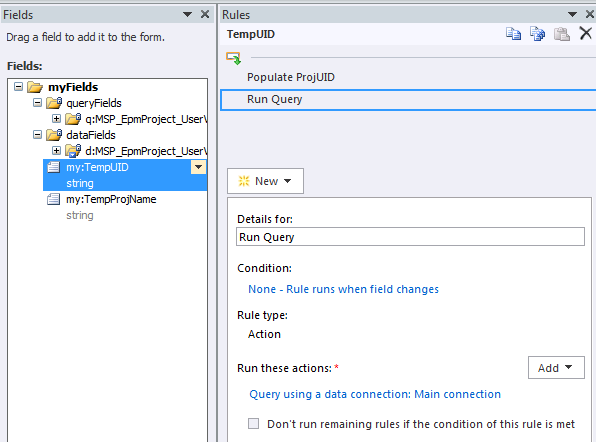 As far as I can tell, PerformancePoint reports are limited to use with OLAP cubes as a data source. 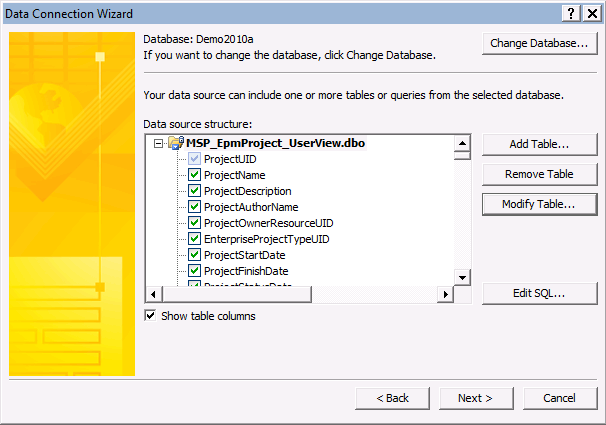 Hence, if you need to generate a report that uses more tabular data – such as milestone reporting, you would need to use Excel or SSRS to generate the report. Put simply, for cost and effort reporting, the OLAP cubes are probably the best source. 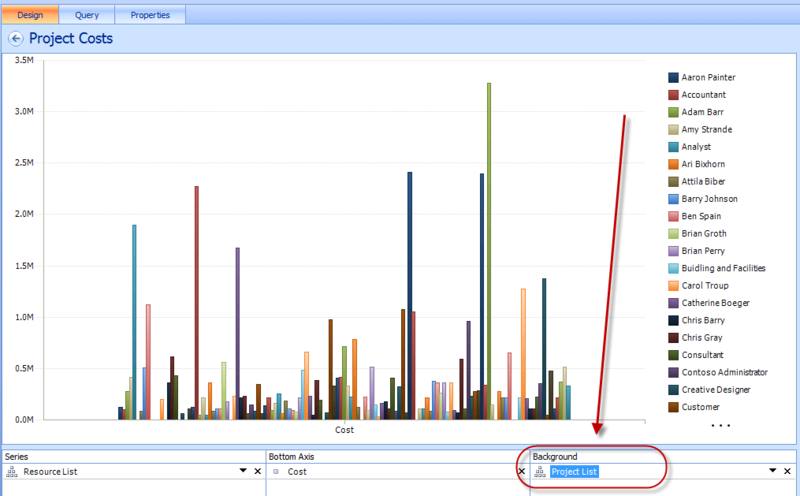 For schedule based reporting, you’ll need to tap into the traditional reporting database. I won’t go into too much detail, as this is well documented online – in the context of linking Excel reports to the PerformancePoint dashboard. 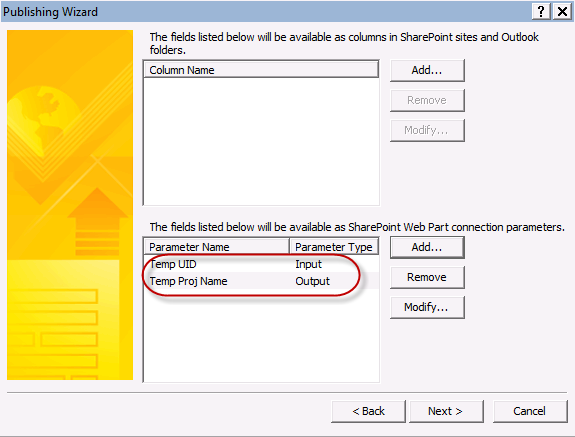 Boiled down, make sure that when you publish the Excel worksheet to SharePoint, you select the option to publish a parameter. Here’s what it looks like when I publish my cumulative milestone report. 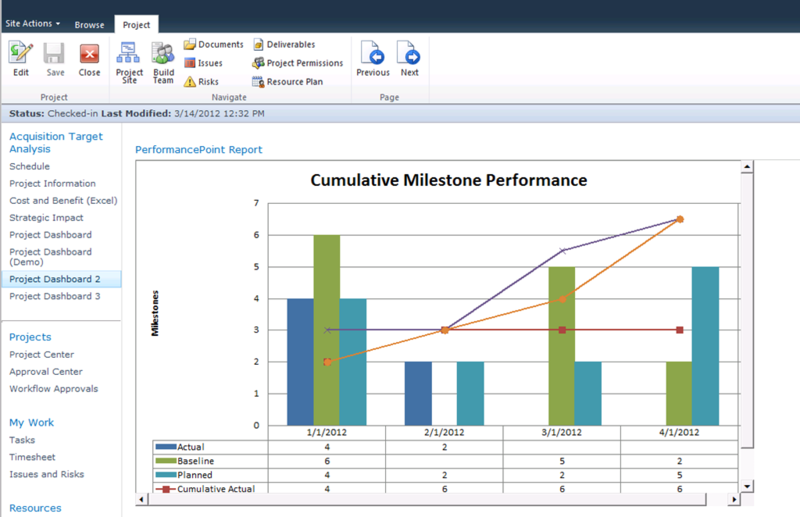 Create a new Excel report in PerformancePoint with the Dashboard Designer. (Really, it’s just creating a record and pointing it at the Excel chart you just uploaded.) 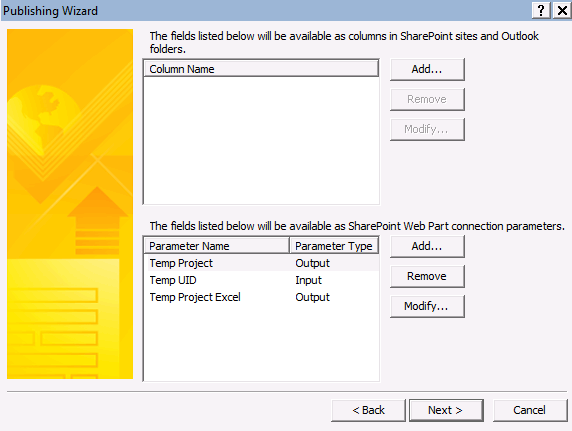 To confirm that everything is working, you should see the parameter appearing in the report screen. 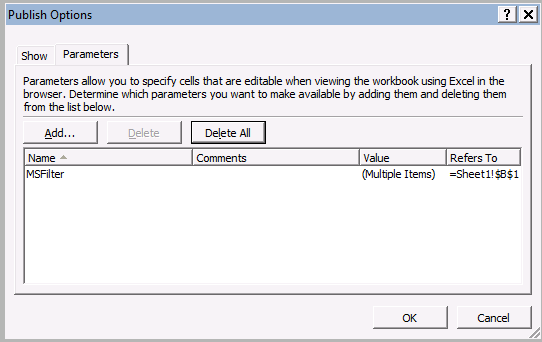 If you don’t see that, revisit the previous steps to configure your Excel worksheet properly. 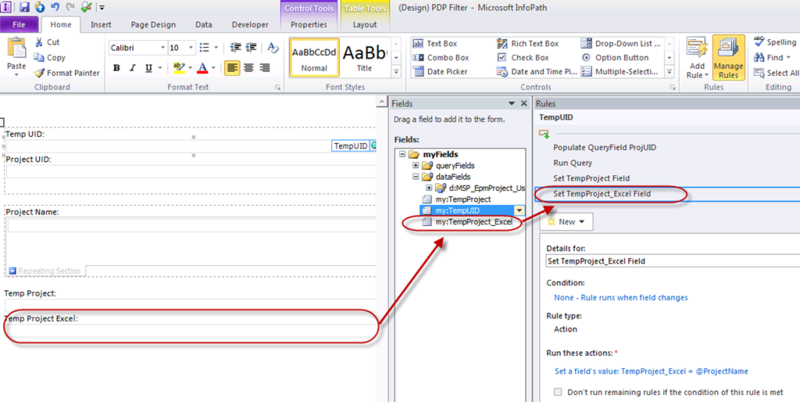 If you read those previous couple posts on using InfoPath to filter reports, this shouldn’t be too difficult. 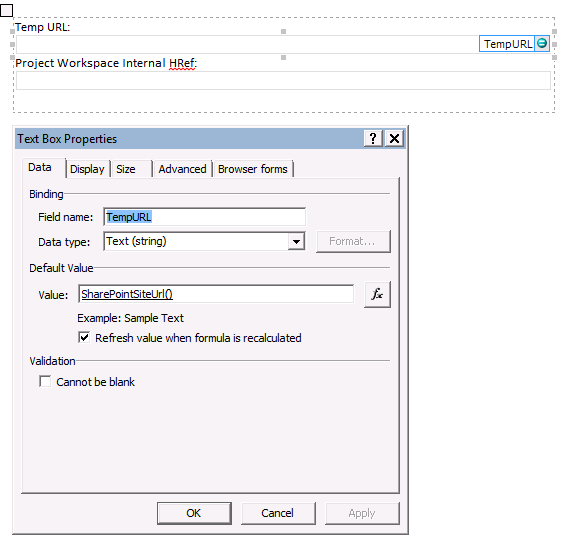 To support this model, I created a new field called “TempProject_Excel.” I set that field to populate with the value in the Project Name data field. 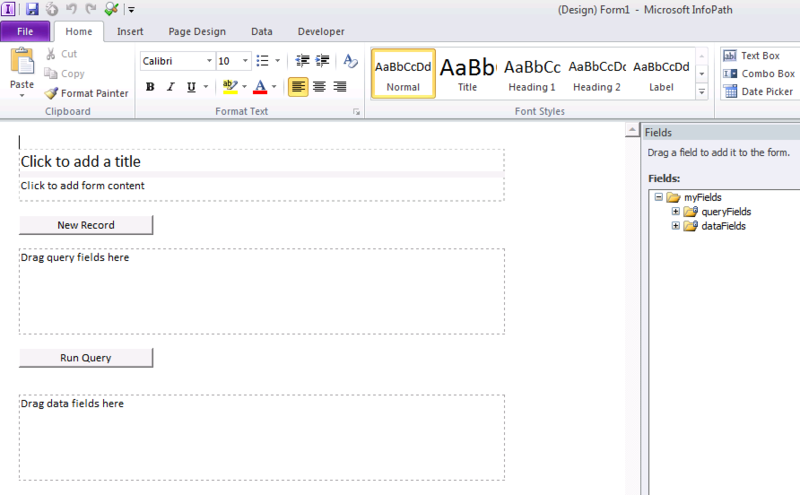 You’ll have to modify the field to work with your reports. 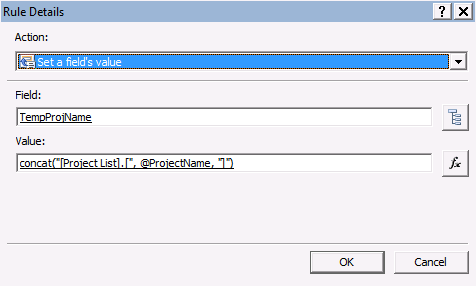 In this example, I just need the project name with nothing fancy, so “Acquisition Target Analysis” without brackets or modifications will work just fine. 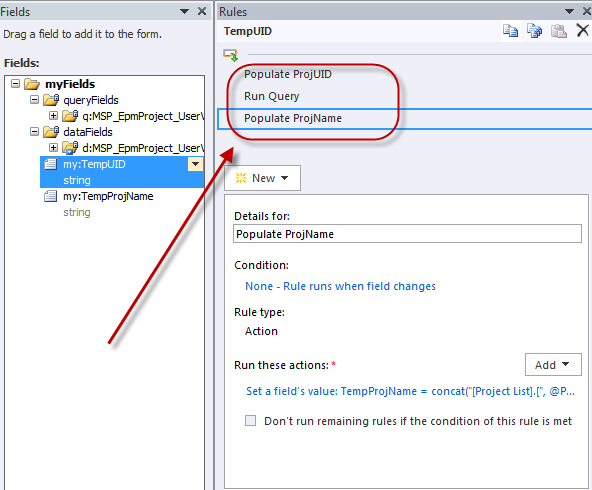 Publish the InfoPath form and make sure to promote the new field so it’s available for use in Webpart connections. This is where I had a little difficulty at first. For a while, I couldn’t get my report to filter – then magically it started filtering after I changed something. I am not sure exactly what I changed, but I suspect it’s related maybe to the order in which the Webparts are added to the page – or the order they’re loaded into the Webpart zones. I am not entirely sure, but if you find it’s not working for you, start playing with those parameters to see if you can identify what’s causing it. Needless to say, when I tried to recreate the issue on my environment, I couldn’t any more and it all works just fine. Here’s a great video that Sy Aslan, our academic director, put together to explain the fundamental concepts of Project Portfolio Management…in under 3 minutes. A short, concise description of the value proposition of effective PPM. Looking for some entertainment to round out the week? Look no further. Check out this presentation – right around the 14 minute mark for what I thought was the best moment in all of TechEd 2012.